Spiritual Direction Calgary: The Heart of Grief Counselling. July 7, 2017 Comments Off on Spiritual Direction Calgary: The Heart of Grief Counselling. Does anyone ever get over abandonment? May 25, 2017 Comments Off on Does anyone ever get over abandonment? It’s happened to so many little boys: The young man comes home one day. Dad is out on the driveway finishing packing his sports car with all of his worldly possessions. Mom is upstairs crying, trying to reassure the child that everything will be ok — while frantically googling, “Grief counselling Calgary,” and, “Surviving infidelity,” on her phone. 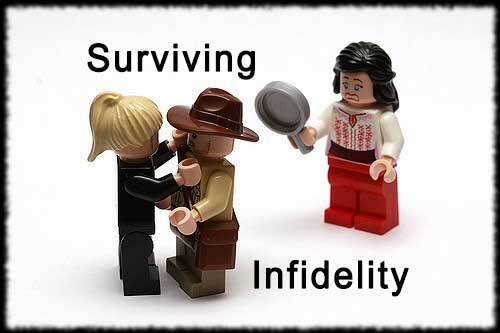 Surviving infidelity: Is there healing after an affair? April 25, 2017 Comments Off on Surviving infidelity: Is there healing after an affair? Is your life constantly in chaos? April 1, 2017 Comments Off on Is your life constantly in chaos? Of all of the eccentric, odd and sometimes down-right dubious characters who are regarded as founding fathers in the field of psychology, the award for weirdest among them definitely goes to Freud. How to win at the game of love. March 18, 2017 Comments Off on How to win at the game of love. “After all these years of marriage, you still don’t know anything about me — do you?�? Spend any time at all in the field of couples or marriage counselling and that snarled/shouted comment will, really quickly, become very familiar. Watch any Remembrance/Memorial day service or the yearly September 11th events and, over and over again, you hear the publicly repeated vows to never forget the atrocities of terrorism that has sparked so many wars. Just for a moment, let’s completely ignore the tragic cascade of underage child abuse victims themselves acting out the same behaviours on other minor family members or peers where the perpetrator really is as much a victim as the the one being abused. Have you ever tried, even for just a few seconds, to step inside the mind of the most hardened adult sexual offenders and imagine what they need to see in a child to begin taking steps towards victimizing him or her? Is there a pattern? Why would they target one child and completely ignore another? Earlier today, I walked two separate clients through the exact same material: An understanding of 8 key barriers to escaping from addiction and how those barriers actually represent a very clear roadmap out of addiction and into healing. January 21, 2017 Comments Off on We’ve moved! Nine months after starting on the project of finding a new (And so much nicer) home for my (Cal’s) external office, we finally did it!